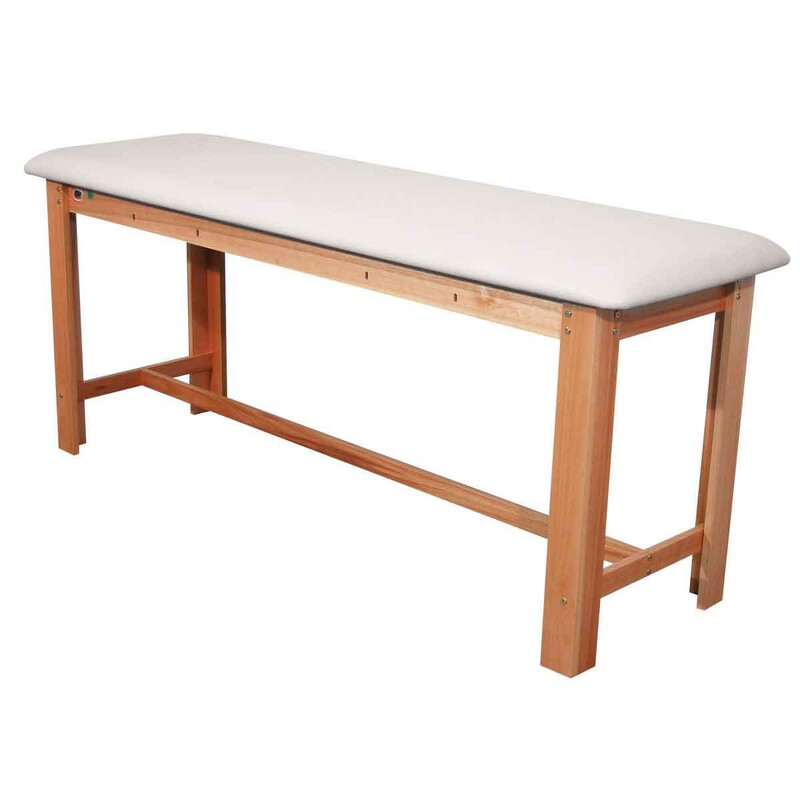 The 3B Scientific Classic Wood Treatment Table merges timeless looks with leading-edge manufacturing methods to create a durable, yet environmentally responsible, therapy table. The Classic Wood Treatment Table is constructed of eucalyptus, which is reputed for its solidity, durability and minimal environmental impact. All components are manufactured to exacting standards with German precision and utilize sturdy H-brace construction for years of stable, squeak-free operation. In fact, a three-year limited manufacturer warranty is included for added peace of mind. To complement the rich-looking eucalyptus, the Classic Wood Table is available with eye-catching light blue or white vinyl tops that add pizzazz to wellness centers. Black and dark blue vinyl tops are also available to lend a touch of refinement to virtually any clinical setting. Vitality Medical also sells four-packs of unscented massage oils and other massage accessories. 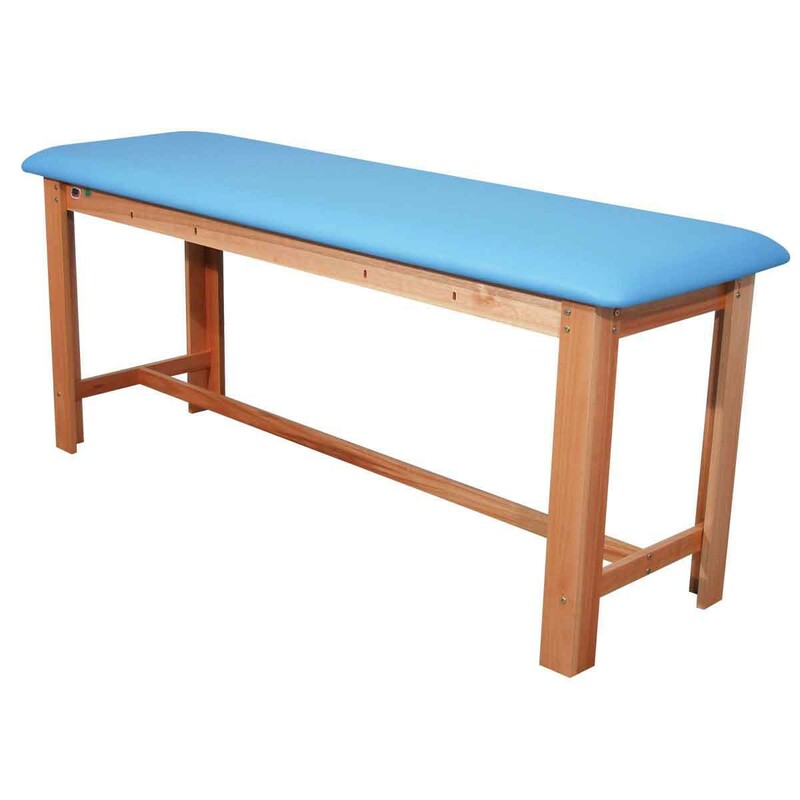 Comfort -- Seamless 26 density foam, 2-inch thick top provides the high-density support needed for proper therapy. Economy -- The table ships flat-packed for to economize purchase; inherently clear directions make assembly a snap. Ease of ownership -- Heavy-gauge seamless vinyl resists snagging and is easy to clean/sanitize between patients or clients.